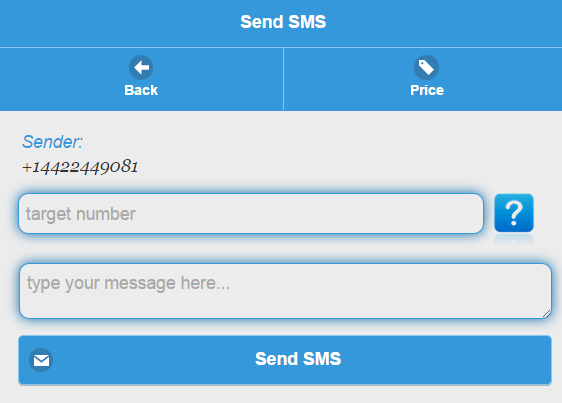 How to get all that? 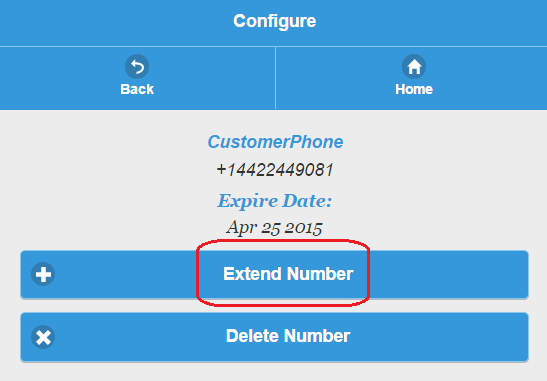 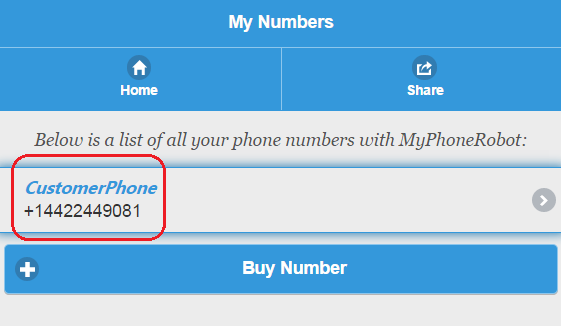 Again, you need to enter your real phone number and give it a friendly name, so you can refer to it later. 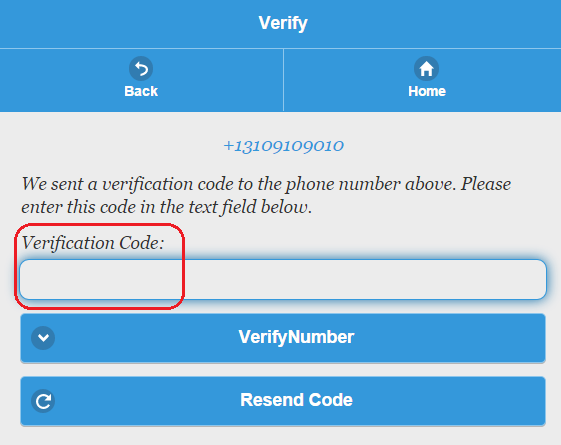 You also need to verify your real phone number so we are sure that you have access to it( and it is presumably yours ). 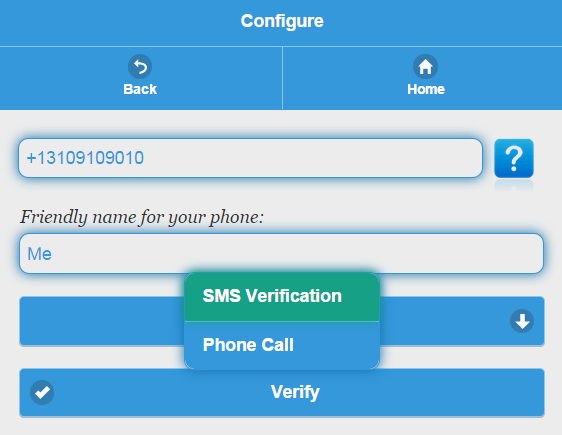 Choose between SMS verification and Phone Call verification and hit the "Verify" button. 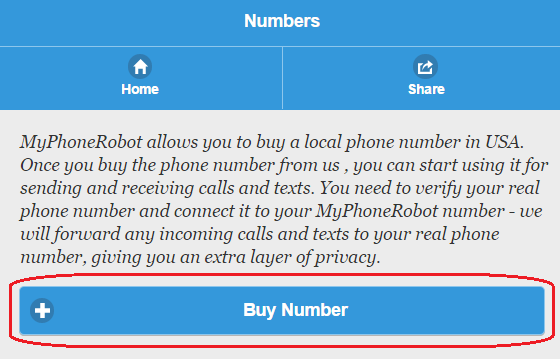 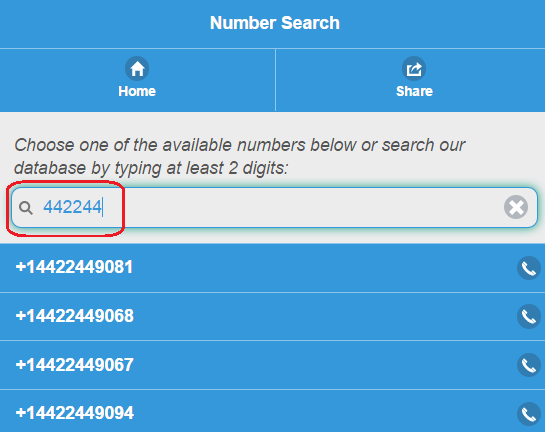 You will be taken to a page( if you have more than one MyPhoneRobot numbers, you would have to choose which one you want to use ), where you need to enter the number of the person you want to call( do not enter your own number, as we are already using it ). 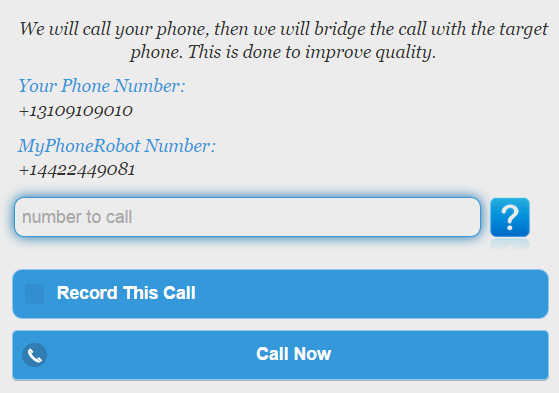 Our system will initiate the call. 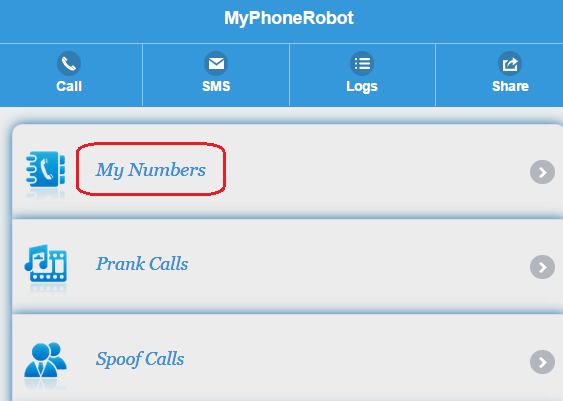 Your phone will ring first, pick it up, you will hear a dial tone - we are bridging the call with the target phone number( your number will not be revealed, instead we are using your MyPhonerobot number as originating caller id ). 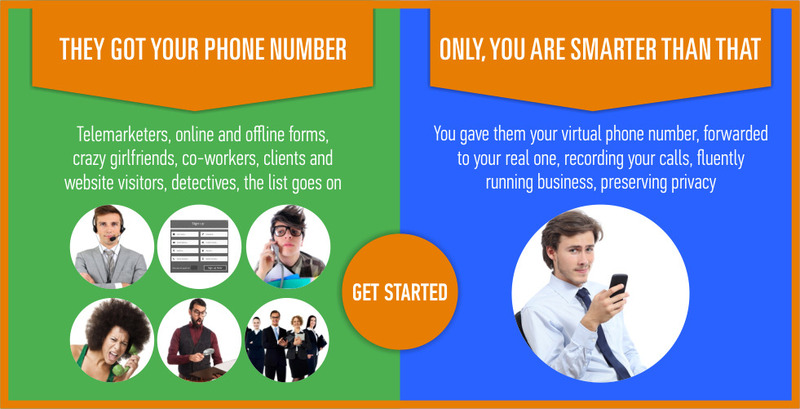 Using that technique, we guarantee your privacy, while delivering high quality, business-grade calls - our system does not depend on the end user internet connection. 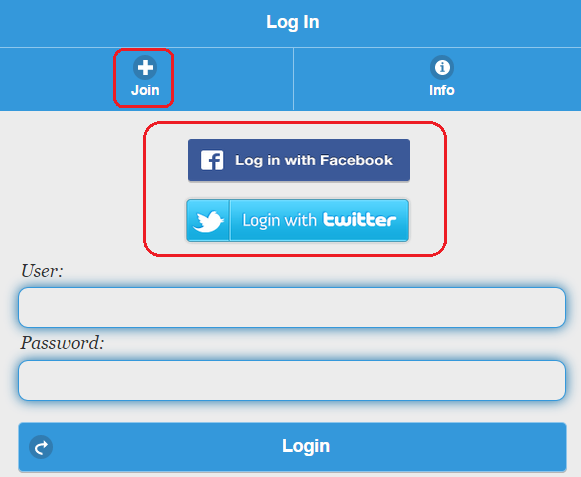 Pretty easy isn't it? 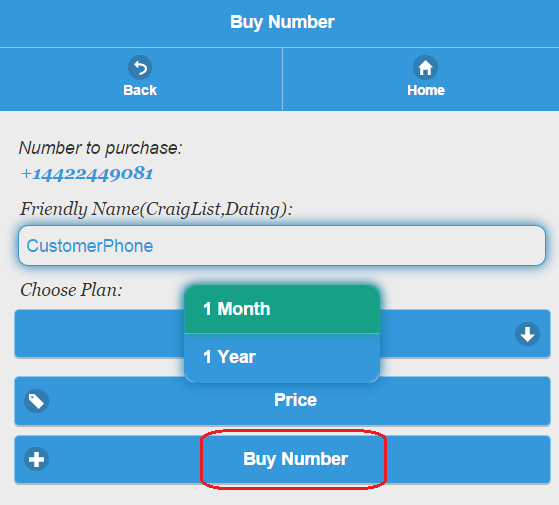 We will guide you through the whole process, just click on the getting starting button below and you will be up and running within a minute!